You can also read the faq, frequently asked questions, for the answers to frequently asked questions. The Alaskan Malamute whose origin dates back to 7000 years owes its name to an Eskimo tribe, "Malhemiuts" which meant "the people who live where there are large waves". Malhemiuts lived mainly on the north-west coast of Alaska, and used this to take their dog sleds and haul their boats to hunt the polar bears and to defend the camps and herds of caribou against animal predators. The Malhemiuts were described as men of small stature, painstaking and hospitable and who were very attached to their dogs, providing them with much care and caring for them with great respect. 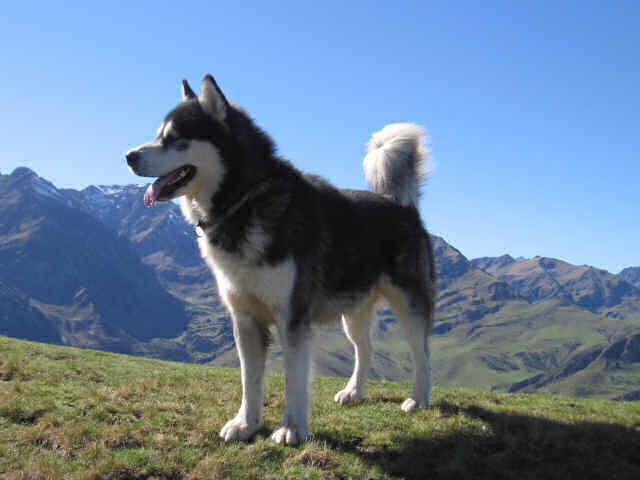 The Alaskan Malamute dog is robust and strong, well-tempered, accustomed to the rigours of the extreme climate of the North and selected to help the man in a hostile environment. They bear the considerable differences in temperature which may reach 80 to 100 degrees. Moreover, they show a huge resistance, because the natural selection has preserved over the centuries, the strength and qualities of this breed. These dogs have specific needs and their character and behaviour should be well studied. People who are attracted by their external appearance and their great power due to a well-developed musculature and robust skeleton, are sadly mistaken: what is characterizing the Alaskan Malamute, it's his character. They are self-confident, independent, dominant dogs, but very affectionate with his master, and they stay playing a very long time when he decides. If you succeed in establishing correct relations based on mutual respect and mutual trust, you will be able to understand him and make him understand you. If you succeed, you will get great satisfaction. 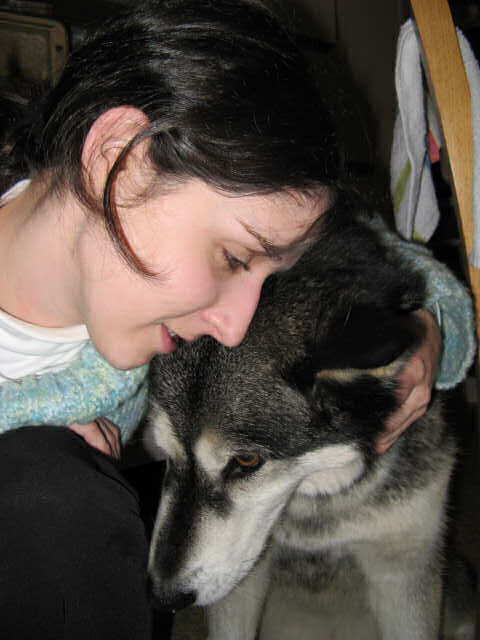 You must not forget that the Malamute will find its physical and emotional balance in the effort and the complicity he will maintain with his owner, the latter have to adapt to his dog. The Alaskan Malamute is a rustic dog, he requires virtually no maintenance, the wool grease preserves the hair of dirt adhering in too many way to the coat. He is robust and resistant to diseases and weather, but he must be protected from high heat and too high humidity . He is not neglecting a good nap in full sun and swimming is, instinctively, a moment whose he can not resist to get. The worst enemy of Malamute in our latitudes, are ticks with piroplasmosis that they give. The Malamutes are very susceptible to this disease and intervention by a veterinarian is needed quickly at the risk of pain of death. The Malhemiuts were a nomadic people, and then the Alaskan Malamute have not developed the concept of territory to protect. Even today, the Malamute is not a good guardian of home property. Besides, it doesn't bark. The barking dog is often caused by fear, but the Malamute with his great self-confidence, was not prompted by fear barking. Only an unexpected and unexplained event or great excitement cause his rare barking. But his body and his presence persuade any intruder to be wary of this great dog rather impressive. This dog in a garden is a good means of deterrence. A special characteristic of the Malamute is the very particular noise he emits, caused by an abrupt end by the nostrils and at the same time by the mouth, keeping the jaws tight, all of that causing swelling of the lips. The Malhemiuts used their dogs for hunting. The Alaskan Malamute is therefore able to follow an old track of several days or locate on the ice, breathing holes, dug by seals. 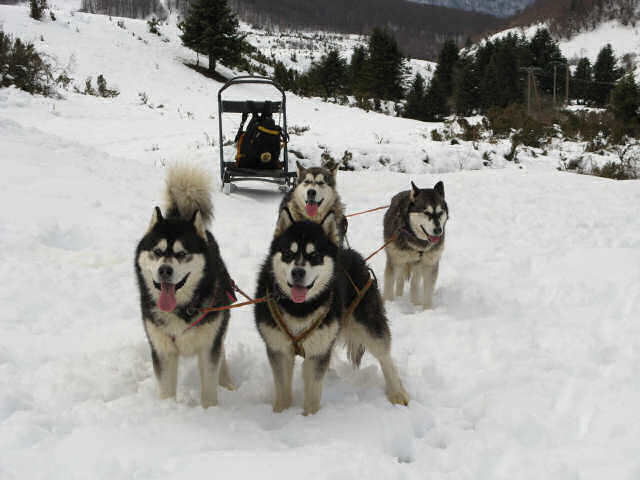 He has therefore a unique sense of smell, but to develop this Malamute's trait of character will not be compatible with sledding, because the dog would be very difficult to control and he would follow the first track of animal that he would find. Then, the Alaskan Malamute is a fabulous companion, dynamic and sports, magnificent and majestic, warm and loving.